Huge THANK YOU to the members of HOWLING GIANT for being good sports about my lack of interviewing skills and playing along anyway. With this singular statement on BANDCAMP, HOWLING GIANT exemplifies perfect do-it-yourself music making. From the old school B-Movie horror album art, to the no nonsense hard rock mentality, this Nashville Trio with going at it on a smaller scale. Rather than setting the world on fire in grand fashion, they are content with the metaphorical equivalent of lighting a bag of dog poop on your neighbors porch. (You could ALMOST imagine Clint Eastwood delivering those lines before belting some slugs into Ramón Rojo). As you could tell, I am becoming a big fans of these guys, so I was thrilled to have the opportunity to talk with them and ask about the making of this record, their future plans, and any other irrelevant thoughts that bounced around my head at 2AM. 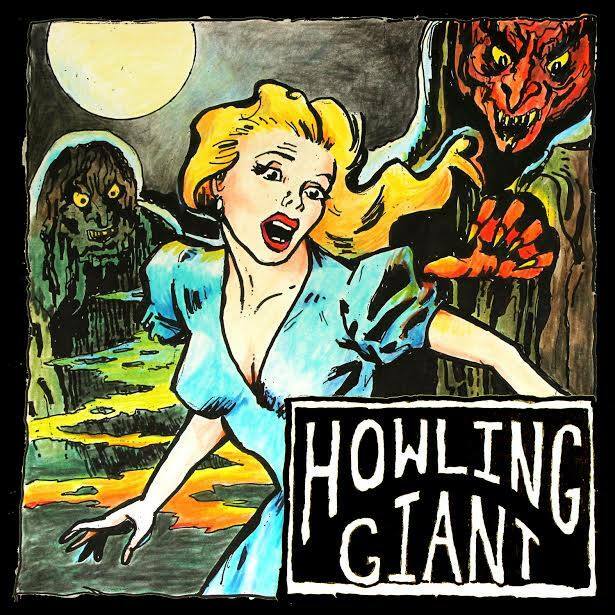 Kraltunes: Is there a unique origin to the name HOWLING GIANT? 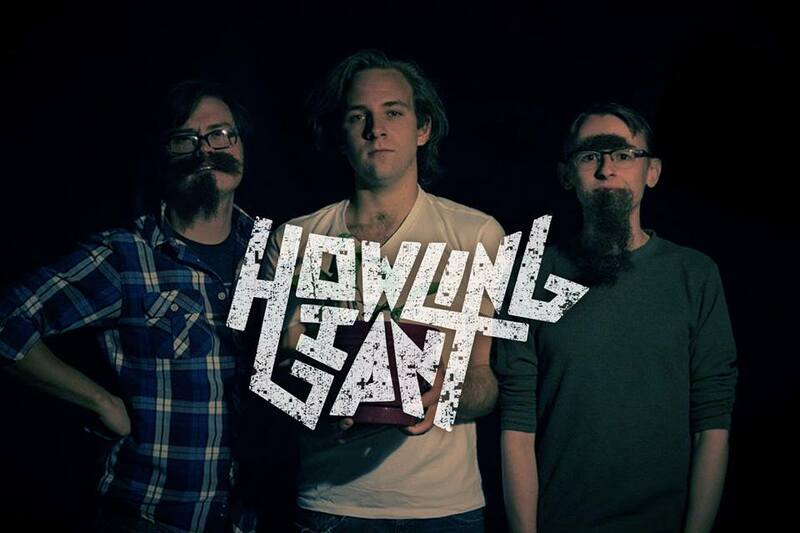 Howling Giant: The name comes from the Four Giants in The Legend of Zelda: Majora’s Mask. Towards the end of the temples in the game, these Lords of the Earth come out and howl a haunting melody. (I never put that together until just now..thats brilliant)!! KT: One thing I immediately noticed after listening to your EP is the exceptional musicianship. How long have you three been playing? Has music always been the ‘goal’ for you guys? Is this a part time thing?/ Do you have regular day jobs? When did you start playing together as a group? Am I rambling on a bit much here?? HG: We met in college and all played in various other bands, not so much with each other. As our other bands dissolved slowly, we started this band under the name SKLDZR (Skulldozer), as a joke and excuse to jam fat riffs with one another. We aim to do this full time one day, but in the mean time, we work day jobs just like anyone else. Roger is a substitute teacher, Tom slings BBQ and just got hired at a local brewery, and Zach works at a drum shop. KT: I’m sure I know the answer to this, but please tell me that you guys are able to grow the epic facial hair so proudly displayed on your facebook page?! HG: We are proud of every track on the EP, each one has its own character and represents a different sound that we love. Husk is the cruising desert feel with stacked vocal harmonies. Whale Lord gives a little bit of the heavy vibe, with some psychedelic guitar work towards the end. Doug captures our goofy side, while Camel Crusher is purely riff work. We love all of our children, as any respectable parent should. KT: This Ep was recorded in Tom’s bedroom…care to elaborate on any other ‘band activities’ that take place in Tom’s bedroom??? HG: Aside from building a super-computer that will soon take over the world, nothing really. KT: This weekend, Furious 7 opens in theaters…will you watch it, and in your opinion, can this film surpass the ridiculous awesomeness of its predecessors without going overboard on the cheesiness? This week, the US and Iran reached a tentative deal that would curb nuclear activities in return for relief from sanctions. Is this deal a plus for US foreign policy, or will this agreement create more problems down the road between the US and the Middle East? HG: What the mainstream media won’t tell you is that we have been granted special access to the proverbial “red-button.” Don’t worry fellow Americans, your lives are in good hands. KT: What do a trio of rowdy Tenesseeians do on their down time? KT: Hailing from Country Music Central, I am (most likely stupidly) assuming that you 3 are members of a hard rock minority in your neck of the woods. 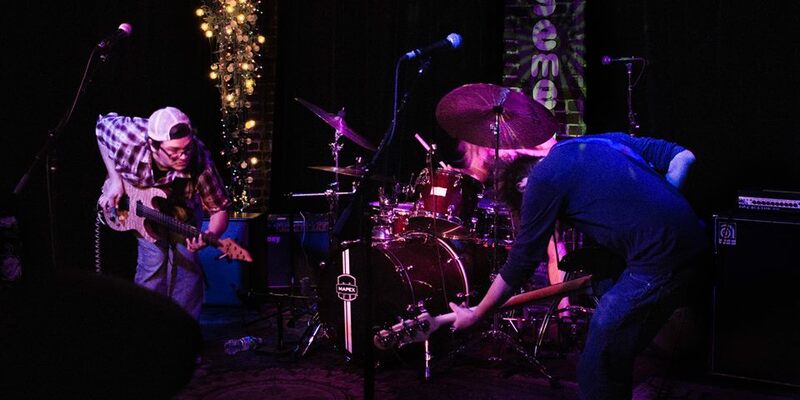 Is there a Nashville rock scene that the rest of us are not aware of? HG: While there isn’t a huge scene currently, Nashville is in the throes of its Hard Rock Renaissance. We are starting to see a lot more bands breaking the country mold in this town. We think that over the next 5-10 years, Nashville will be significantly more diverse musically. HG:Frankly, we’re all a bit shell shocked that Kentucky fell to those filthy cheese eaters. We stay up late every night writing in our dream journals by candle light about the whole debacle. KT: What is the last album you listened to before you began reading these questions? For the hell of it, what other bands do you guys listen to? We love Red Fang, ASG, Weedeater, Sleep, Coheed and Cambria, Led Zepplin, Elton John, Mac DeMarco, Erykah Badu, Queens of the Stone Age, Type O Negative, Descendents, Screeching Weasel, and NOFX. KT: Aside from celebrating the anniversary of me asking this question, where do you see yourselves n the next 2 years (bonus points if you name the origin of that joke)? KT:What is the group up to in the near future? (tour dates, recording, etc.). HG: We’ll play more in Nashville, tour The Great American South on weekends, and work on new jams for our first full-length. BANDCAMP PAGE (HELL, IT’S FREE)! !